I studied speech communication in college before switching my major to journalism and took courses in public speaking, persuasion and American oratory. While that does not make me an expert, I still feel justified in saying that President Bush is a lousy public speaker. There is something about Bush’s speeches that has always bothered me (aside from the content) and until the other day I couldn't quite say what it was. But yesterday NPR interviewed a professor of speech communications who analyzed Bush's inauguration speech and I think he nailed it. He replayed specific parts of Bush's speech and showed how Bush puts the emphasis on the wrong words. For example, when Bush says "At this second gathering..." he puts the emphasis on the word 'gathering' rather than on the word 'second.' He also pauses at awkward moments and doesn't have a natural rhythm in his cadence. What is sounds like is somebody struggling to read a difficult passage for the first time, with no idea how the sentence is going to end before they start reading it. The professor noted that past presidents like John F. Kennedy, Ronald Reagan and Bill Clinton could make a speech sound better than it read on paper. Bush, he said, is the opposite. His speeches are better when you read them and sound worse when you hear them. The professor speculated that Bush just doesn't like public speaking and is perhaps daydreaming about being back on his Crawford ranch in the middle of his speeches. He certainly doesn't make me want to continue listening. I am usually upset by some of the things he is saying, but then hearing him struggle through the speech like a junior high school kid being forced to read aloud from his textbook in front of the whole class is just painful. One thing that Bush doesn't do is veer away from the text. So we don't get any of those endearing, mixed-up phrases that defined his father's speaking style. A good public speaker knows what he is going to say and only uses the prepared text or the teleprompter as a guide. They can read their audience and know when to elaborate on a point or cut another point short. Not Bush. He reads straight through the prepared text like it was chiseled on stone. The good news, at least, is we will never have to be subjected to another inauguration speech by George W. Thank God. Dr. James Dobson, leader of the religous right advocacy group Focus on the Family, has completely lost it. Apparently, Jerry Falwell going after Tinky-Winky, the purple Teletubby, wasnâ? ?t embarrassment enough for the religious right wingnuts. 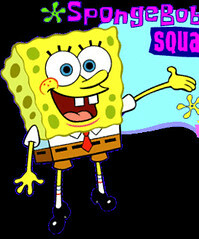 Now they are going after SpongeBob Squarepants, the popular childrenâ? ?s cartoon character. At a recent blacktie affair that was part of Bushâ? ?s second term inaugural festivities, Dobson warned a group of Congressmen that SpongeBob is being used to promote tolerance of homosexuality to elementary school students. Now Dr. Dobson said, SpongeBob's creators had enlisted him in a "pro-homosexual video," in which he appeared alongside children's television colleagues like Barney and Jimmy Neutron, among many others. The makers of the video, he said, planned to mail it to thousands of elementary schools to promote a "tolerance pledge" that includes tolerance for differences of "sexual identity." But the charge is flatly off-base, as the article makes clear. The video in question was produced by Nile Rodgers, who wrote the disco hit "We Are Family." Rodgers said he founded the We Are Family Foundation after the Sept. 11 attacks to create a music video to teach children about multiculturalism. The video has appeared on television networks, and nothing in it or its accompanying materials refers to sexual identity. Rodgers goes on to say that Dobson must have confused his organization with another group called "We Are Family," which supports gay youth. But even if SpongeBob was being used to promote tolerance, what would be so wrong with that? And why would a so-called Christian organization object so vehemently to it? This story is funny, but it is also maddening because it is another example of a right-wing nutcase promoting hatred and bigotry under the guise of Christianity. There is nothing Christian in what Dobson and his group is doing. Rather, they are the modern day equivalent of the Pharisees who were always trying to trip up Christ in Biblical times. At the end of the article, Mark Barondess, the lawyer for the We Are Family Foundation, said the critics "need medication." I would agree with that and add that the deranged Dr. Dobson probably also needs to be placed in an institution where someone can make sure he doesnâ? ?t go off of his medication and start attacking cartoon characters again. The Washington Post has an interesting graph comparing the second terms of recent presidents and the problems they ran into. Bush is starting off with the lowest approval rating (52 percent) of any modern president with the exception of Nixon. And he has the highest disapproval rating (46 percent) by far. I anticipate those numbers will only get worse for Bush as the Iraq war drags on and his efforts to dismantle Social Security get picked apart by his own party. Democrats should not hesitate to pound on Bush with every opportunity just like the Republicans did to Clinton. They should become the "We told you so..." Party and constantly remind voters of his failures, screw-ups and countless lies. It should be a fun four years. We're getting new computers at my work next week and I can hardly wait. The Apple - iMac G5 looks like a flatscreen computer monitor without the computer part. That's because the computer is contained in the monitor itself. Pretty cool! I've been busy at work after a nice 3-day weekend. Haven't had much time for blogging. I've got some lengthy posts in various degrees of preparation but none are ready to go up yet. WASHINGTON, DC—Attendees at the Independence Ball, one of nine officially sanctioned galas celebrating President George W. Bush's second inauguration Thursday, will be treated to a viewing of a caged Saddam Hussein, White House Press Secretary Scott McClellan said Monday. "What better way to honor the president than with a physical symbol of his many first-term triumphs?" McClellan said as Hussein rattled the bars of a cage already suspended above the ballroom where the event will be held. "And I must compliment the planning committee. Outfitting Gitmo detainees with iron collars and forcing them to serve appetizers was an inspired stroke."